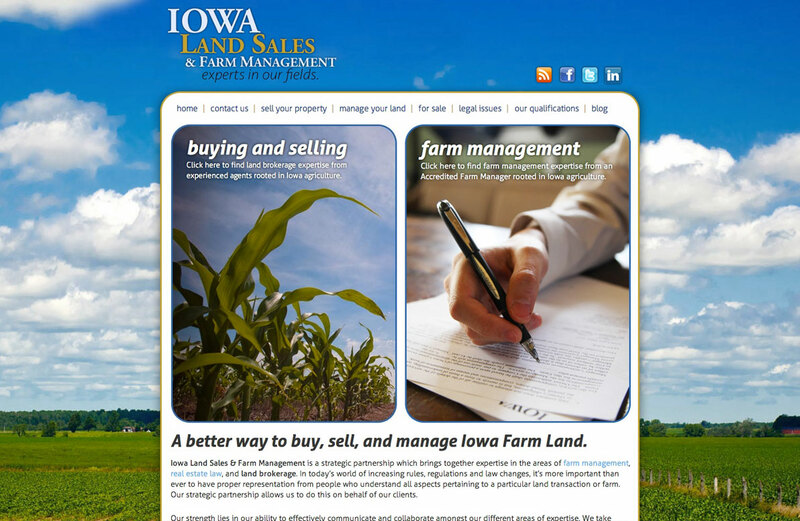 As a new business preparing to launch, Iowa Land Sales needed a competitive web site that simplified the process of buying, selling, and managing land. We looked at the cluttered approach its competitors’ web sites used, and opted for a sleek, simple design that is best highlighted by its listings section. Customers can easily expand sections of text to see the information they’re looking for, while leaving the others out of sight. The staff at Iowa Land Sales brings buyers, sellers and owners more than 30 years of combined experience in real estate sales, farm management and dealing with land-related legal issues. Our knowledgeable sales professionals and experienced real estate attorney have the qualifications to market or manage property and walk through any and all legal issues related to property transaction.